Mycelium growing on the surface of an annual vegetable bed. Photo taken 1 year after implementing no-till practices. 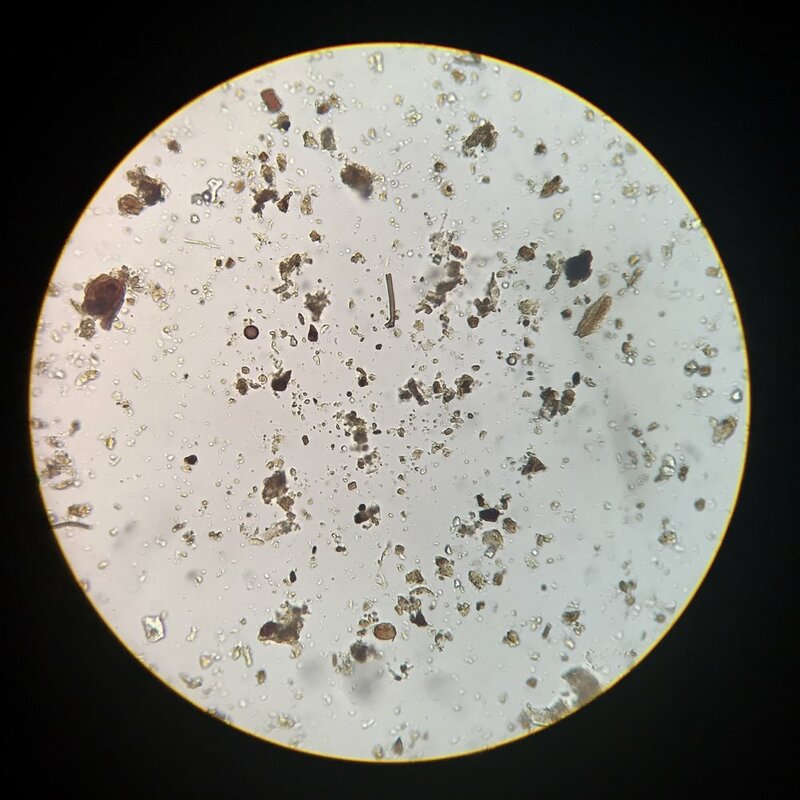 By observing the active microbiology below-ground, we begin to compose a more complete story about the life in our soils and its impact on the ecosystems above-ground. Rather than treating symptoms, we become stewards of the whole system. In the world of soil biology and regenerative agriculture, the practice of microscopy enables farmers, scientists, and curious minds alike to investigate the dynamic, living ecosystems of our soils in real time. By doing so, we can gather important information about the current state of the land we’re working- how healthy it is and whether it is improving or declining in this state. With this information, we’re better equipped to make effective land management decisions. At Sown & Grown, we use a restored Parks Optical 500 Binocular microscope. All images are 400x total magnification unless otherwise noted. Falling down into the rabbit hole of soil science and microscopy was a paradigm shift. This entire world I’d only ever read about was suddenly at my finger tips - my literal finger tips as I manipulated and maneuvered the stage across my field of vision. 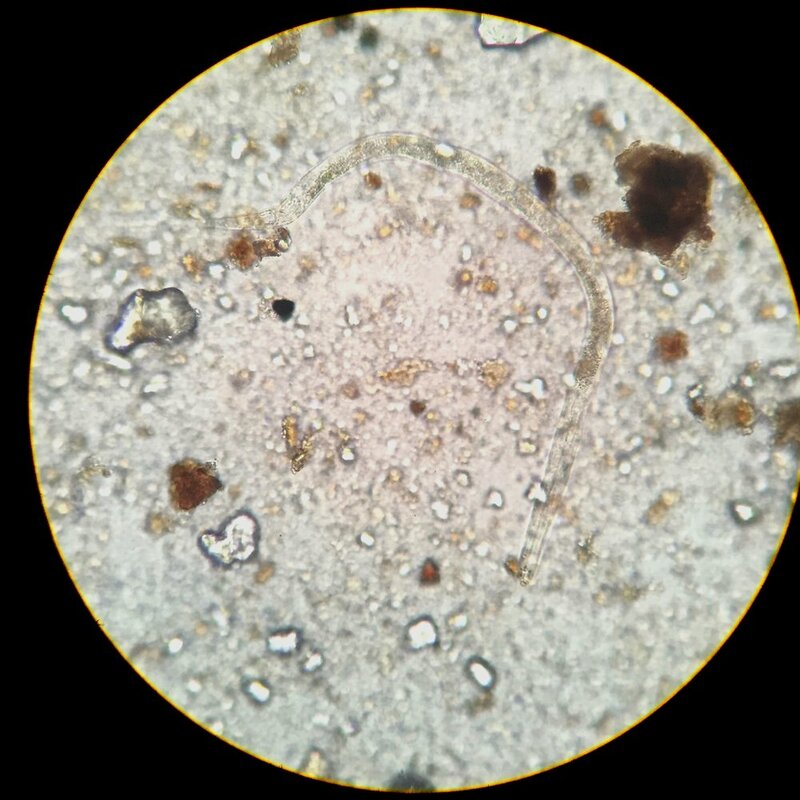 Unfolding before me were hundreds of thousands of tiny swirling, whirling, and blobbing creatures… all condensed in just one little point on a field of vision, of one single drop of diluted soil solution, from one small scoop of a soil sample, from one pocket of my farm. The ability to accurately evaluate a soil sample has so much less to do with the fanciness of your equipment and everything to do with having a keen eye for meticulous observation and genuine enthusiasm for all the wonders and curiosities of the world.